Let’s say you are delegated by your company to work abroad for a while. What kind of insurance plan should you take out? In today’s article prepared by our insurance broker and health insurance specialist partner Pacific Prime Dubai, we will highlight what short term and travel insurance plans are, their main differences, and what to consider when securing these policies. As its name suggests, short term insurance refers to health insurance plans with a limited duration, usually several months to a year. These plans target individuals who are traveling a lot throughout a year in a particular region. The beauty of short term insurance plans lies in its flexibility. Clients are free to customize plan details such as the area of coverage (it can be Dubai only, or it can extend to the great Middle East, and even beyond) and the level of benefits to best suit their needs. Travel insurance, on the other hand, offers only limited inpatient treatment coverages in the event of an emergency and exclude any pre-existing conditions. 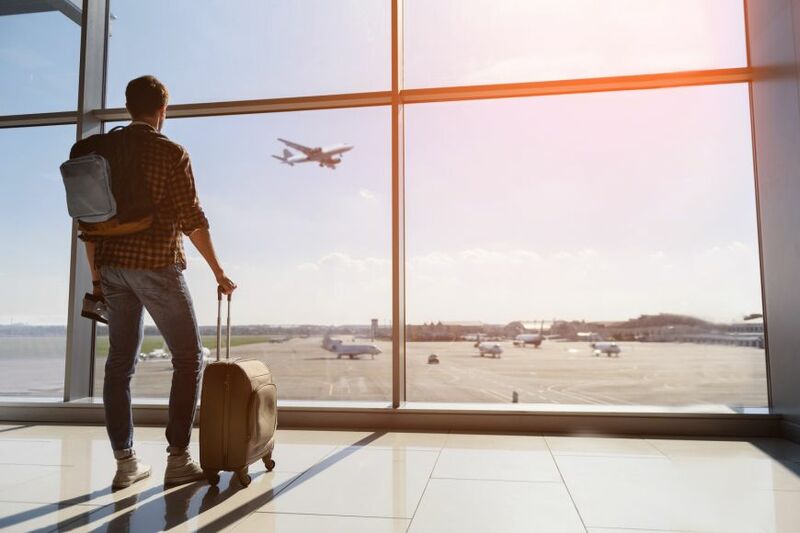 Covering travel-related accidents such as flight delays and missing luggage, travel insurance is suitable if you are traveling for less than three months, or are staying somewhere with top-notch medical facilities. So which plan should you choose? As mentioned above, if you are just having some quick trips away, travel insurance will be a better option as it provides you with coverage for a vast variety of risks, from medical expenses, curtailment of travels, emergency assistance, to personal accidents and even personal liabilities. However, if you are going to be away for over three months, short term insurance can offer medical benefits to supplement deficiencies of other insurance plans. If you are going to a less developed destination, you will be prone to a higher risk of injury and a lower quality of healthcare. Naturally, you will need more health benefits and lost baggage will then become less of a concern (though you can still secure a travel insurance plan). Depending on the policy term, most short term health insurance policies provide high levels of coverage for both inpatient and outpatient treatments, prescribed medicines, medical evacuation, and repatriation services. Furthermore, short term health insurance has its own healthcare provider network, which allows you to choose where to receive treatment and use direct-billing services. What should you consider when securing these policies? It pays to check whether the level of coverage of the plan is adequate to fully address the potential costs so that you won’t be left on the hook for any additional funds required. In the event that you think the limit is too low, you can check with your agent or broker to see whether you can raise it. It is crucial to be aware of any exclusions in your policy. Common exclusions include participating in extreme sports, such as bungee jumping and skydiving, conducting acts of terrorism, and visiting war zones. With a larger risk pool and more members, more established insurers often have higher stability in terms of business and are less likely to run into profit issues. They also tend to offer a higher standard of customer service and claims support and a wider network of medical providers. Pacific Prime Dubai has you covered for all of your local, regional, or international insurance needs! Armed with 19 years of experience and nine offices across the world, Pacific Prime Dubai is a leading broker of health insurance and other related products. Our team of experts has been delivering award-winning services to over 130,000 members globally in over 25 languages. From plan structuring, administration, to claims and renewals, we will lead you through different stages of your insurance journey. Contact us today for impartial advice, an obligation-free quote, and a plan comparison!